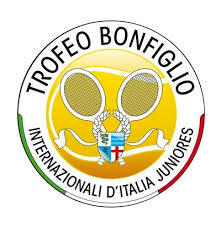 The last deciders in the qualifying are currenty played out, so the Main Draws of the Trofeo Bonfiglio 2018 in Milan can start accordingly tomorrow in its 59th edition! Between May 19 and May 27, talented players from across the globe compete in this ITF Grade A event for the prestigious trophy and the much sought-after ITF Junior World Ranking points! As the tournament is one of only five ITF Grade A events during the year, the young players fight for the championship but also for a large amount of important ITF Junior World Ranking points, since these events carry the greatest ranking points on the Junior Circuit, beside the four Junior Grand Slams. 250 points each will be collected by the singles tournament winners. Doubles winners can earn up to 180 points per player. Therefore, a lot is on the line, when the young prospects are given the chance to win a trophy, but also can really push forward in the ITF Junior World Rankings or even fortify their high rankings until the end of the season. This event has a long history and is considered to be one of the biggest junior tour tournaments in the world. It has long been a magnet for the best junior players, since tennis stars such as Ivan Lendl (1978) or Goran Ivanisevic (1988) are listed as former tournament champions. But also current Top 50 players, like Simona Halep (2008), Sloane Stephens (2009) or Alexander Zverev (2013), have already won the longest running Grade A tournament in ITF history! Main Draw starts on Monday, May 21 and are scheduled to finish on Saturday, May 26 with the doubles finals and Sunday, May 27 with both singles finals. Tennis-Ticker proudly supports the tournament with our point-by-point live scores system! Follow the qualification play and all the main draw matches and look out for the stars of tomorrow via our App for Apple and Android or by clicking the Button below. By ttwpadmin| 2018-08-04T06:58:06+00:00	Mai 20th, 2018|Categories: Event|Kommentare deaktiviert für Trofeo Bonfiglio 2018 about to start!